When it comes to discount men's wedding bands, the sky is the limit! 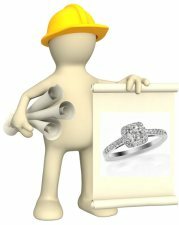 Thanks to the many new contemporary metals that are now used to craft durable yet affordable wedding rings, couples searching for low cost men's wedding rings no longer have to settle for bands made with inferior workmanship and materials. To find the best metals for affordable men's rings that will last a lifetime, check-out the info below. Here you will find a snap shot of how these metals compare to one another plus the performance and look you can expect from each metal. Fun Fast Shopping Tips for Affordable Men's Wedding Bands! The best metals for discount bands? Tungsten, Titanium, Cobalt Chrome, Stainless Steel and Silver. Black diamonds are an affordable alternative to white diamonds. 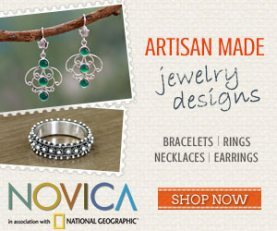 For unique rings, wood bands are low cost, unique and eco-friendly! And, you'll find valuable shopping tips too that will lay the groundwork for the path to the perfect ring for the right price. If you have any questions at all about discount men's wedding bands, or would like to send in comments, reviews or show off pics of your gorgeous affordable wedding band, just use the comment box at the end of the page! The best metals that are used to make strong, yet very affordable, wedding bands for men include: titanium, tungsten, stainless steel and cobalt chrome. Silver is also an option, but silver will need extra special care to stand up to daily wear. 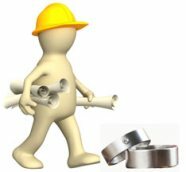 For cheap men's wedding rings that are made to last, these metals offer much better prices - and in many cases better performance - than low cost gold alloys like 10k or even 14k gold. So what can you expect from these metals? Take a look at the table below. Men's Tungsten Wedding Bands are the most popular styles for affordable wedding bands. Tungsten is one of the heavier wedding ring metals which has a fine natural gray color tone that is the darkest out of the metals listed here. Like titanium, this metal is not resizable, but tungsten rings often come with lifetime size warranties. Cobalt Rings are new to the wedding ring market, but they are fast becoming a major competitor to titanium and tungsten bands. Chrome rings are on par price wise with titanium, and these rings have a shiny mirror-like polish and color similar to white gold. Unlike its contemporary counterparts, chrome can be resized - but sizing services for this new ring material may be limited locally. As with the other types of contemporary metals, cobalt chrome wedding bands will last more than a lifetime with little care. 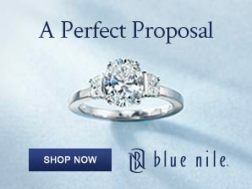 For an affordable wedding band that has the look of white gold, cobalt chrome is definitely the perfect choice. Men's Titanium Wedding Rings are in most cases the more affordable option for low cost men's wedding rings. The metal has a beautiful light gray color tone with a remarkable sheen. Titanium is also light as a feather on your finger, so if you want a ring with a little weight the heavier tungsten or silver bands might be a better alternative. Like tungsten, titanium rings are available through specialized retailers with lifetime sizing guarantees. Men's Stainless Steel Wedding Rings are the most affordable of all discount men's wedding bands. They are extremely durable, although unlike the other contemporary metals stainless steel cannot be exposed to chlorinated water. Like titanium rings though, steel rings are extremely light - and not resizable. Selections of the rings may be a bit limited too as steel is also a newer ring metal. Men's Silver Wedding Bands are usually priced higher than the others - with some exceptions. But if you are looking for a band with intricate detailed styling, silver definitely makes sense. Unlike titanium, tungsten, stainless steel and cobalt chrome - silver can be worked into very intricate designs, including Celtic styles, and silver is generally resizable (depending on the style of the ring). Men's Wood Wedding Rings are a great option if you are searching for a unique, eco-friendly wedding band. And, wood rings are quite affordable - even those which are handcrafted. Keep in mind though that these bands do require very special care, are not as durable as the other metals above and cannot be resized. Prices for wedding rings often rise during the peak wedding seasons. To find the best deals on men’s wedding bands, try to shop for rings between the months of October to February instead of between the popular wedding months of March to August - and if you have the opportunity to catch holiday sales definitely take advantage of those. 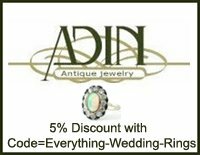 You may also find wedding rings for discount prices during the months of July and September through post-spring and post-summer wedding season sales. 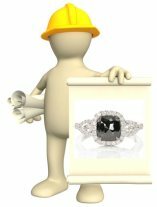 For men's diamond wedding rings, Black Diamonds are a terrific and affordable alternative to white (colorless) diamonds - affordable gemstones too including aquamarine, black onyx, smoky quartz, peridot, garnet, citrine and amethyst are also a great choice for colorful rings with a low price tag. 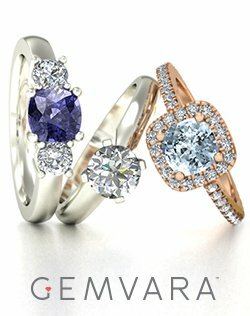 Take a look at EWR's Gemstone Wedding Rings section to find out more about gemstone wedding bands. If you are searching for affordable gold, platinum or designer wedding rings, Used Wedding Bands might be the best choice. You can find a huge selection of used men's wedding rings on eBay. But with all of the many durable men's wedding bands crafted with high standards of workmanship available in contemporary metals, there is no need to go on the search for used rings - unless you have your heart really set on gold, platinum or designer rings. A search for cheap men’s wedding rings can sometimes end with a ring which contains inferior products that may easily scratch or bend, cause allergic reactions or which contains blood diamonds or gemstones from unethical sources. Always double check the materials and gemstones used to make the ring to be sure you are buying a quality and ethical wedding band. 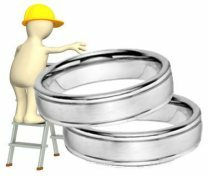 Check the type of alloy used to make the ring, some Titanium and Tungsten alloys should not be used for quality wedding rings (click on the links for more information on the alloys used to make these rings). Remember to avoid any type of plate design what-so-ever. This includes ion plated black titanium or tungsten rings, gold plated silver rings, black plated steel rings etc. These types of rings are unfortunately quite prevalent, even at reputable jewelry boutiques, but they will not last. Plate will chip and wear away in a matter of months on every day wear rings. If you are looking for colorful or two-tone ring styles, stick with rings crafted with metal inlay only or with metal that has been thoroughly treated to permanently change its color from the inside out. Never purchase a low cost ring without a return policy – even if you purchase the ring during a red hot sale, you should receive at least a 30-day return policy with your purchase. For rings that cannot be resized, such as Tungsten, Cobalt or Titanium rings, stick with a retailer that offers a lifetime guarantee and ring exchanges or returns on purchases in case the ring does not fit. One of our favorites here at Everything Wedding Rings is Titanium Kay, where you can find a large selection of cobalt, tungsten and titanium rings that come with a lifetime guarantee. 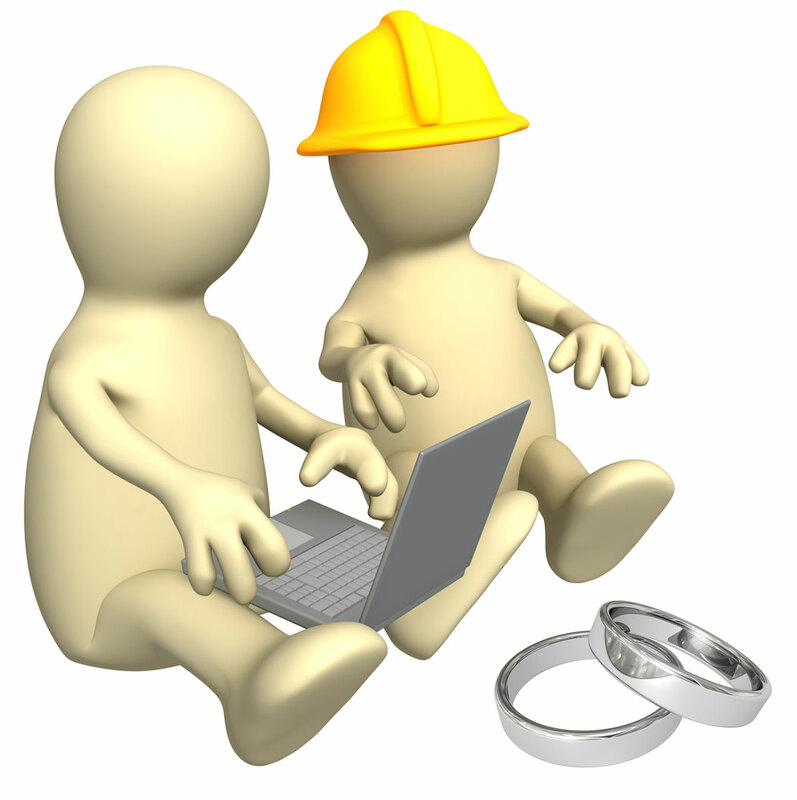 A new men's wedding band or used wedding ring which contains a diamond should come with a certification report from a reputable laboratory such as the GIA, AGS, EGL or IGI. Last but not least, keep in mind that the market for discount men's wedding rings has changed dramatically in the last few years. At one time, options for men’s wedding bands were limited to gold, platinum, silver or palladium bands. Today, with the availability of new strong and stunning metals and lab created diamonds and gemstones – it really is possible to find a low priced but luxurious and quality made wedding ring that will last a lifetime. You don’t have to settle for anything less! 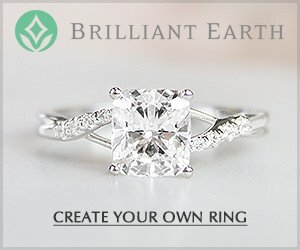 Do you have comments or questions about discount men's wedding bands? 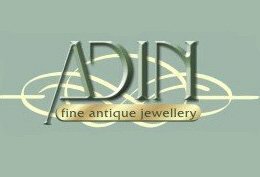 Send in your question and comments about discount men's wedding bands, or share pics of your affordable wedding band find with our visitors! 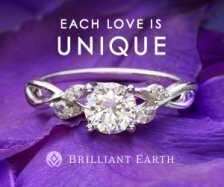 Looking for Affordable Wedding Rings? Find gorgeous rings for the right price here! Find the facts about tungsten rings here! See unique Hammered Wedding Band styles! What can you expect from a Titanium Wedding Band? 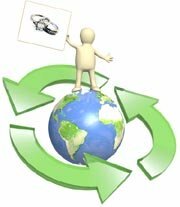 Find out more about titanium rings here! 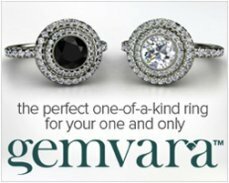 Are rings with Black Diamonds the right style for you? 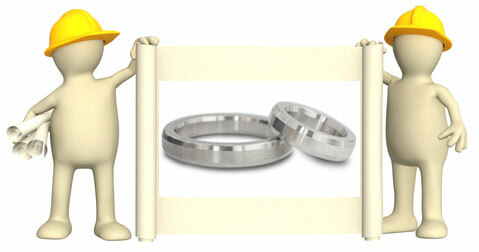 Stainless Steel Wedding Bands here! See why aquamarine is the perfect gemstone for gorgeous colorful wedding rings! measure up to a Diamond? See Cubic Zirconia vs. Diamonds here!